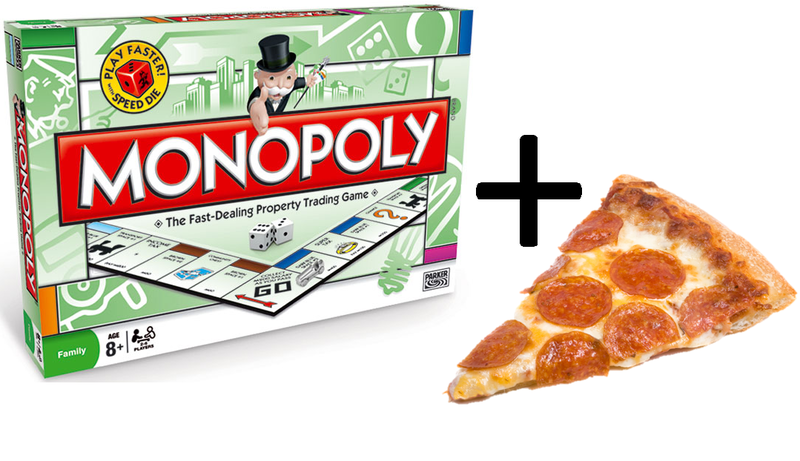 Game and pizza night – Kids have fun while the parents go out! We don’t have any scheduled but if you can get a minimum of five students together, we can look at putting one on. We will be doing adhoc “Game and pizza nights” . They will be an evening of fun and frivolity for kids (our target age range is 7 to 14 years old) while the parents have time out. Great alternative to babysitting. For many families it will work out cheaper! Dates: Sorry – this class has finished. Refer to our school holiday page to see what else we have on. Time: 6:00 pm to 10:00 pm (see Question 5 below if you need longer). A stack of various different board games. Of course, if the kids have their own devices, they are welcome to bring them. We will just ask parents to sign a Computer and Internet Access Policy for their children if they haven’t already done so and bring it in on the night. Please forward this around to your friends if you think they may be interested. Or why not organise to go out with some friends and send the kids here to us for the evening? We will only offer these evenings occasionally and subject to demand so take this opportunity now if you fancy an evening off without the kids. Question 1 – What pizzas will you order? What drinks will you provide? Answer 1 – Domino’s and we’ll keep it simple: cheese, Margherita or Hawaiian. We will take a quick count on the night before we order. We will provide cordial and water for drinks. Question 2 – Will you run these nights regularly? Answer 2 – If there is a demand, we will but given the cheap price point, we need to get the numbers on the night to make it worth our while so please share with your friends. The social media buttons above can help you do that. Question 3 – Do I have to be an existing customer to come along? Answer 3 – No… not at all. This is open to any children but our ideal age preference is 7 to 14 years old. Question 4 – How many staff will you have on the night? Answer 4 – This depends on how many children we end up with but we anticipate having one to three staff. Question 5 – What if I am late collecting my child/ren? Answer 5 – We know that the 10:00 pm time slot may be too early for some parents. As such, for each 15 minutes after that (or part there-of) we will charge each family an additional $10 upon collection. If you think you might be late picking up your children, please let us know prior and we would encourage you to bring along a pillow and rug for them!